TJFP volunteer Rebecca Wisotsky chatted over the phone with our 2013 grantees to learn more about what their year has been like organizing their communities, providing public education and services, and working towards trans justice. Our grantees generously took the time to share their stories, including their success and challenges. Come meet some of our incredibly dedicated and inspiring grantees from across the country! 2. TILTT is being resourceful and building collaborations with ally organizations. One of the biggest challenges Ms. Cheryl shared with me is trying to do outreach to trans community (or “my girls” as she lovingly said) without a reliable source of transportation. Ms. Cheryl tirelessly does outreach to trans individuals to help make them aware of their HIV status, as well as providing current information around prevention and information on resources/treatment for those needing it. “I need to reach the girls where they’re at.” This outreach is done at all hours of the night after public transportation is not running. 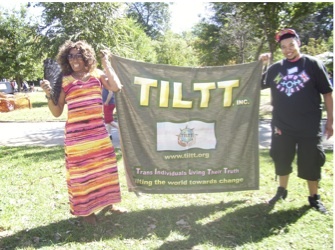 TILTT organizers will now be joining another organization in their clinic van to hand out condoms, give HIV/AIDS testing and education, Hepatitis C prevention education, diabetes and high blood pressure testing, and information about how to get involved in TILTT. These are only a few of the ways in which TILTT is working against racial and transgender discrimination while striving to motivate membership to participate in and provide leadership for community events and actions. There is so much more that TILTT is doing to combat the negative images of trans community while also advocating trans justice. 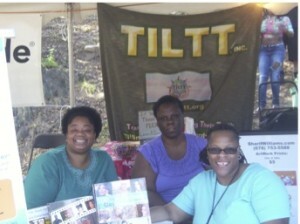 If you want to learn more and really want to tap into the brilliance of Ms. Cheryl and TILTT organizers you can always get in touch with them at www.tiltt.org.